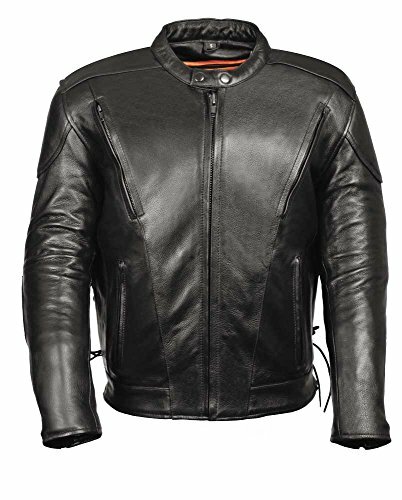 C1010 Premium Vented Biker Jacket Style in a Quality Top Grain Leather in 1.2 -1.3 mm. It comes with Permanent Mesh Lining and a Zip out Thermal Quilted Liner. Side Lacing gives optimal comfort and allows you to adjust the waist. The Padding in the Lower Back Kidney, Shoulders and Elbows give protection and support. 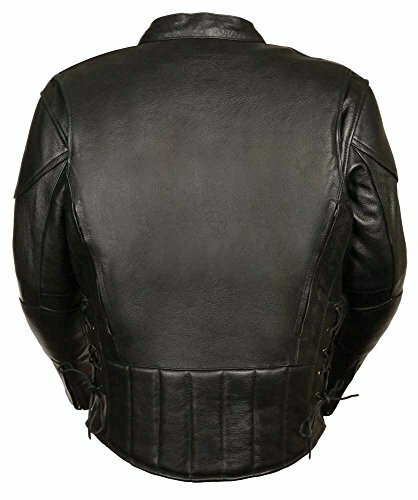 The back of this Riding Jacket has Moon Shaped Shoulder Vents plus Air Vents but there is still enough room to put a good sized patch on the center back. The two Front Air Vents catch the wind and ventilate you. Built in dual side concealed weapon & ammo pocket. Oxidized Black-Brass YKK Zippers and Black Nickel Hardware. SPECIAL SAN DIEGO LEATHER PROMOTION! : A Free Black Beanie or Scarf with purchase. Offer valid while supplies last. Email us your choice after your purchase is made. At SD Leather you may exchange unused Xmas gifts thru Jan. 31st, 2018. Premium Top Grain Leather you will love and Nylon Stitching. 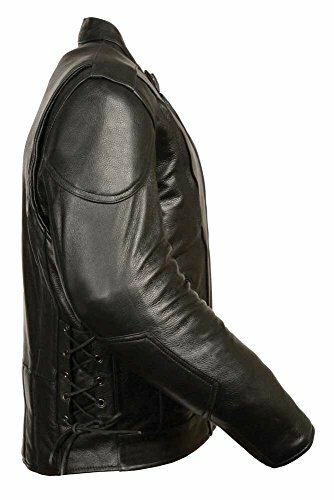 This jacket is Built to Ride. Kosac Collar and streamlined seams and pattern. Features YKK Zippers on Pockets, Vents and Sleeves, Zip Out Liner, Permanent Mesh Liner with 4 Air Vents. Side Lacing for additional fit adjustment. We recommend one size bigger for comfort. Jacket runs about 29" long with the kidney and Talls are 2 inches long in the sleeves and body. 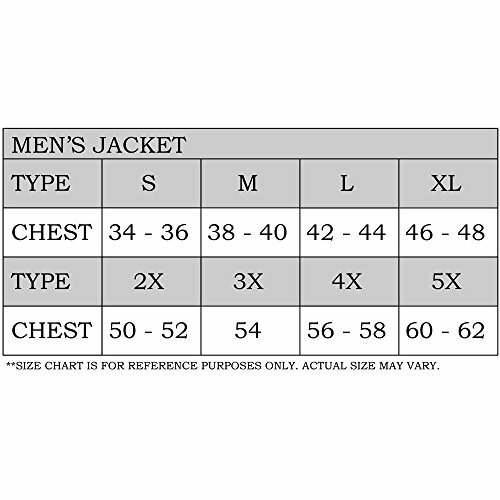 If you have any questions about this product by LEATHER KING, contact us by completing and submitting the form below. If you are looking for a specif part number, please include it with your message.